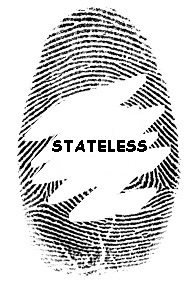 Stateless: What If Cities Issued Visas? Introducing the City Visa Program! What If Cities Issued Visas? Introducing the City Visa Program! In 2017, the mayors of 130 cities around the world, including 18 in the United States, petitioned the United Nations to join the forthcoming Global Compact on Migration. A group of mayors also asked UNHCR to give input on the drafting of the Global Compact on Refugees. Neither compact is exactly innovative or earth-shattering, but at least the process has gotten the nations of the world to sit down and talk to each other about migration and displacement. Immigration has become the lifeblood of cities. In New York, for example, immigration is outpacing domestic migration. As the Rockefeller Foundation puts it in their report Global Migration: Resilient Cities at the Forefront; “(r)egardless of their reasons for arrival, the overwhelming majority of migrants (from abroad) now remain in cities, and are helping shape their future.” Today, cities house, transport and employ most of the world's migrants and refugees. Yet it is exclusively national governments, not cities, who issue visas, police borders and airports, accept refugees and sign migration agreements. In this way, immigration policy is very different from environmental policy, which is an area where cities control many aspects of environmental law, such as limits on pollution or incentives for green technology. On immigration, by contrast, cities control almost nothing and states control almost everything. This skewed power dynamic has led to a global conflict within many states over immigration policy which threatens to tear the entire nation-state system apart. This raises an interesting question: if immigration so deeply affects cities, should the Mayors of cities like New York be able to issue their own visas? If cities want to take the lead on migration policy, why don't we help them do so? Immigration controls and global migration policy are recent inventions. In 1861, the popularity of rail travel led France to abolish its recent passport system. Many other European countries did the same. Countries reintroduced a revamped and strengthened system of passports, visas and movement restrictions during World War One, which saw the introduction of the booklet passport. The League of Nations hoped that the new passport system would be “temporary,” a product of wartime necessity. They could not have been more wrong. Today, passport checks, retinal scanners, customs forms, border checkpoints and immigration detention centers have grown up like weeds around the edges of the nation-state system. National governments enforce borders through a global system of laws backed by violence and fear. Much immigration policy is rooted in the end of the colonial period, when mass European migration, facilitated by Empire, shifted to what Leopold Sedar Senghor called the “balkanization” of the former colonies. Immigration restrictions prevented reverse migration back to Europe and, increasingly, migration between different parts of former colonial empires. Perhaps no group of people better symbolizes this shift than the UK's Windrush Generation, recently labeled as “illegal immigrants” by their own government. Yet post-colonial borders have not halted migration. Far from it. Cities like Legos and New York are booming in large part thanks to international migration. In particular, rural-urban migration within and between countries has skyrocketed, creating global mega-cities. These global capitals contain populations of over twenty million people, a sizable percentage of which is foreign-born. They benefit economically, socially and culturally from immigration, even as rapid growth strains housing and infrastructure. Instead of halting this process, the global system of borders has simply served to push much of this mobility underground, fueling fraud and criminal gangs. Yet highly restrictive policies on immigration continue to be set by nation-states around the world, while cities are often held hostage by the priorities of non-urban areas. The French immigration system ignores the fact that the immigration needs of Paris, France are totally different from those of Limousin, France. The conflict between states and cities can be seen around the world in countries from Malaysia to South Africa, where the need for workers has often clashed with concerns over changing demographics, economies and cultures to produce a contradictory hodge-podge of policies. Of course there are a few exceptions: Singapore is both a city and a nation-state and, arguably as a result, has a relatively liberal immigration policy and an extremely high foreign-born population. As Migration Policy Institute put it in 2012, Singapore is a “transit point of the world” and its immigration policy reflects this fact. Like many cities, Singapore struggles with immigrant integration, but a liberal immigration system has allowed Singapore to manage its aging population and fuel its economic growth. Other cities do not enjoy such control over their own destinies. New York City is a great example of the tensions between immigration policy in the United States, which is set by the US federal government, and the needs of its largest city. Unlike Singapore, New York is both a global capital and the largest city of a vast nation-state. Like most cities, New York has little control over the flow of immigrants attracted to its booming economy and rich culture. Though New York is a so-called “sanctuary city,” it cannot unilaterally regularize the status of its undocumented immigrant population. Nor can it offer more H1-B visas to attract skilled migrants or ease the procedures for foreign students to attend its universities. It cannot create an exchange program with other cities with which it may have a particularly close relationship, nor offer dual citizenship to New Yorkers with significant ties abroad. In fact, the New York City government has almost no role to play in immigration policy at all. Each year, American businesses, including those located in New York, go hat in hand to the Federal Government to request much needed H1-B (skilled labor) visas. In 2015, for example, all of the visas went to fourteen of America's biggest cities, including New York. From 2010 to 2016, New York City received by far the most H1-B visas of any location in the country. Yet the government of New York has no control over the H1-B program. At the same time, the US government has recently sought to force so-called “sanctuary cities” like New York to comply with federal immigration policy, despite the fact that the local government of New York City does not see the deportation of its undocumented population as a priority. As of 2017, New York City had a 37% foreign born population, including over 700,000 undocumented immigrants. The lack of local control of immigration has led to a disconnect between the US federal government and the United States' biggest city. New York City has done much to try to provide services to immigrants and ease their integration, including by creating the Mayor's Office of Immigrant Affairs. The city also issues a city identification card available to all. Yet New York cannot solve the underlying legal problems faced by the city's undocumented population or offer visas to families and businesses who wish to bring immigrants to New York. On most matters related to immigration, the Mayor's hands are tied. But what if New York could issue its own visas? Enter the City Visa Program. City Visas would give their holders all of the rights of national visas with one important exception: the holders of City Visas could only reside and work within qualifying cities. A City Visa holder would have to establish his/her principal place of residence and employment, if s/he is working, in a participating city. Employers of City Visa holders would have to certify that all City Visa employees are employed within a participating city. City Visas would automatically allow the holder to transit, visit and even stay temporarily in the rest of the United States, but residence and employment would be available only in a participating city. City visas would be available in both immigrant and non-immigrant categories, including City Green Cards (Lawful Permanent Residence Status). City Visa holders who wished to become US citizens could apply for expedited Lawful Permanent Residence status under federal law. But would such a program be constitutional? There is no doubt that the creation of a new class of visas can only be accomplished by the US Congress. The power of the US federal government to control most aspects of immigration law has been upheld repeatedly by the US Supreme Court, most recently in Arizona v. United States. US immigration is currently regulated by the US Immigration and Nationality Act, a federal law. Yet, as the late Supreme Court Justice Scalia once argued, while the Constitution mandates that the Federal government control naturalization and foreign affairs, there is no clear Constitutional basis for the federal government assuming complete control of immigration. In fact, until the 19th Century, individual states used to employ immigration controls. Many conservatives in the US might welcome a program that would give cities more power over immigration to cities in exchange for more cooperation with federal immigration laws. Under the proposed City Visa Program, Congress would grant the authority to issue City Visas to a panel of participating mayors. Participating mayors would meet once a year to set City Visa quotas in cooperation with the US Department of Homeland Security. The City Visa Program could be passed as a stand-alone law, or as part of Comprehensive Immigration Reform. One day, the US City Visa program might be linked to City Visa programs around the world. If there is one thing that both pro-immigration and anti-immigration advocates can agree on, it's that the current global migration system is not working. A lack of consensus on migration policy is arguably tearing the nation-state system apart. But unlike past decades of burned fossil fuel emissions, migration law is something that can be changed. Imagine a future where the world’s global capitals, from New York to Lagos, are connected together by a single visa system. Does this sound impossible? Now imagine traveling back in time and telling a British man he would one day need a visa to visit India. He would probably have been incredulous. The system of visas and borders we inherited from the end of the colonial period is neither set in stone nor necessary. And if the conflict over immigration to cities is pulling countries apart, who better than cities to fix it? Migration challenges will require innovative solutions. Who better than cities to lead the way? ***Update: It seems other city advocates have thought of similar ideas. See here from 2012.